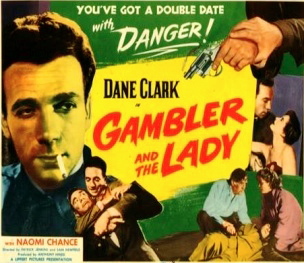 The Gambler and the Lady is a film noir from 1952 by Hammer Studios in Britain. Hammer is better known for making horror movies, but they did make quite a few noir films as well. Dane Clark is an American actor who appeared in a few of these films. Sam Newfield wrote this film and directed part of it. 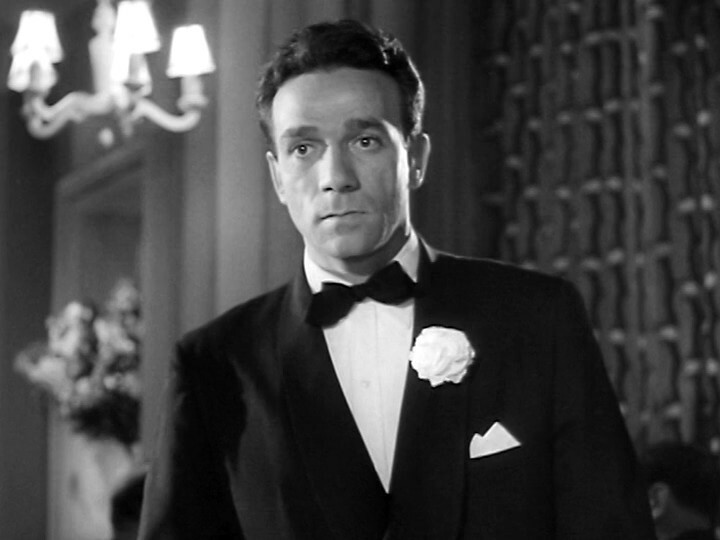 He was a prolific B movie director with 277 films to his credit. We start with Clark fleeing from America for a fresh start in Britain. He has a rags to riches story and soon owns a night club, a race horse, an illegal gambling game, and manages a boxer. All gained on smart gambling moves, some not exactly legal. He has one dream though, he wants to be part of the upper crust, rub elbows with the Dukes and Earls of England. He is also currently dating the dancer from his night club, but that is on the rocks. He also has to worry about a global illegal gambling gang moving in on his territory. Clark also falls for the Lady Susan played by Naomi Chance one night in his night club. All this crisscross into an interesting story that leaves our hero digging himself a deeper and deeper hole. This is not a classic noir, but is very interesting and fun to watch for noir fans or fans of Dane Clark. Clark fit quite nicely into these low budget Noir flicks from Hammer.